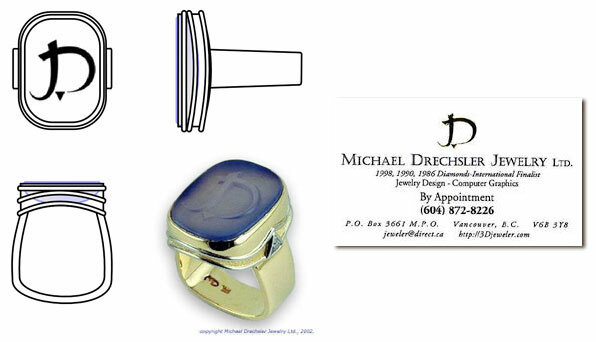 My own signet ring features the Registered Hallmark that is stamped into all the jewelry pieces we produce. 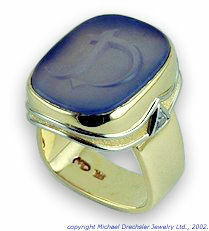 The natural blue Chalcedony gemstone is 16 x 20 millimeters. The carved hallmark logo is raised and the surrounding area is removed in a dish shape. There is a trillion diamond on each shoulder of the ring.